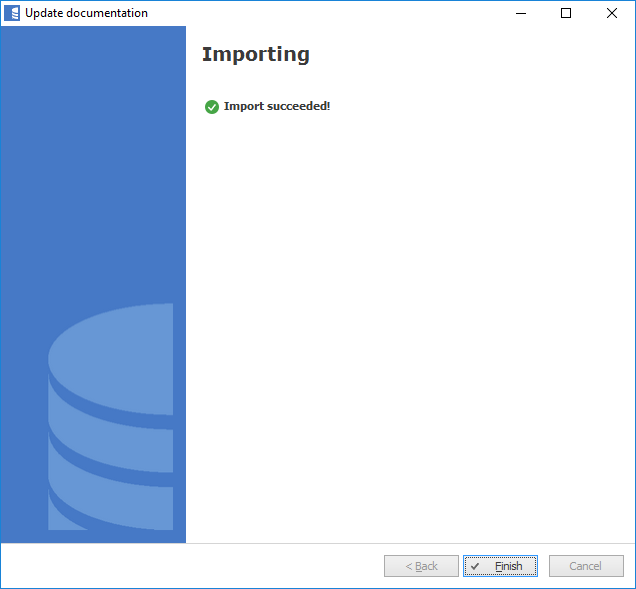 When updating documentation to shorten schema importing time Dataedo imports only objects that were changed since previous update. Sometimes, you may want to update object metadata in Dataedo even if it was unchanged in source database. This feature may also be referred to as Full reimport or Force reimport. Depending on database provider, some changes may not change the last edited timestamp on objects. For example, editing an extended property is not considered a change on the parent object in SQL Server. Additionally sometimes new features added in Dataedo may require reimporting objects imported through older versions (this was the case for example when we added dependencies). When you run into issues in documentations imported originally in previous Dataedo versions, we strongly recommend running a forced reimport. After highliting the documentation you want to update, click the Update documentation button in the ribbon. On the first screen, check the Advanced settings box. 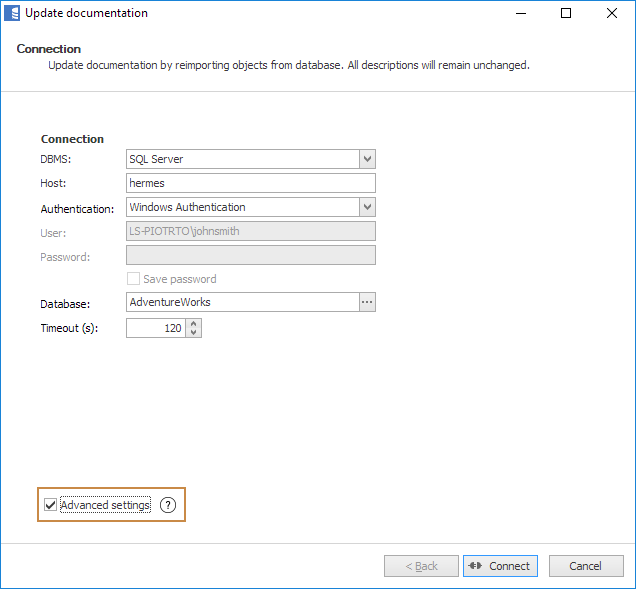 If you're importing data from SQL Server and have any custom fields, you may see an additional screen containing extended property to custom fields mapping. Ignore it for now. 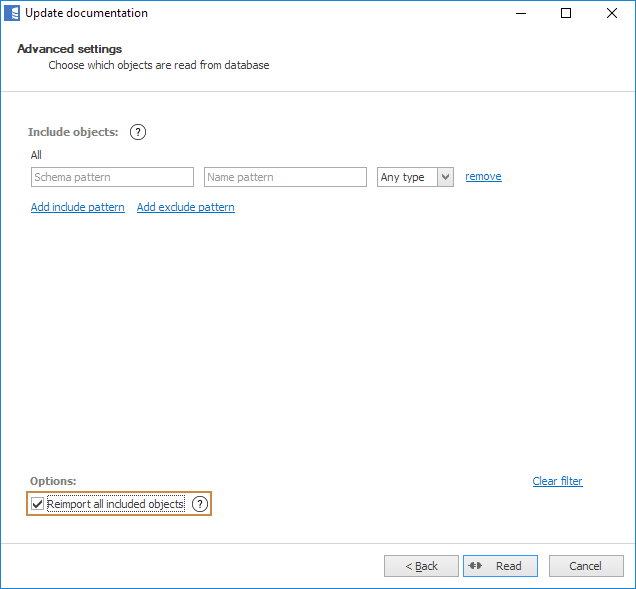 When you get to Include/Exclude objects screen make sure the filter includes all the objects you want to update and check the Reimport all included objects box. Click the Read button and wait for the operation to finish - it may take longer than usual updates so please be patient. When the operation finishes, all your objects will be up to date.